Have a great time everyone who is going to this one. Hope there will be some phoitos and reports later. Ditto what Martin just said!!! I was going to try and make this one and Llandudno but the week in between concerts and / or a second ferry crossing was just to much. Looks like a low turnout for HWI .. Pity. Didn't anybody go? I'm dying to know what she sang, and what she wore! Hi ,just back from the Ebbw Vale show-I'll give you a quick run down before Grant will no doubt give you a fuller account . Alison ,my wife ,and I arrived about 1.15 after doing a tour of the Welsh Valleys due to a dodgy satnav , to be greeted by only one Hayley fan ,John ,waiting for her to arrive at the venue . Alison decided to do some shopping whilst John and I waited for Hayley .We only had to wait about 15 minutes when the van pulled up and we had a nice chat with Hayley ,and I got the obligatory CDs signed . After Hayley had gone inside John and I headed for the town to meet Alison and later met up with Grant and Martin. We did try and get to meet Hayley again but she was busy with the soundcheck ,so after something to eat it was back to the concert. Hayley did 2 sets ,wearing a stunning black dress for the first half and an equally stunning red dress for the second .Songs included Prayer ,Whispers in a Dream ,Cinema Paradiso-Profumo Di Limone, Scarborough Fair ,Pokarekare Ana , and the second set of ,The Mummers Dance ,I knew I loved You ,Songbird ,Both Sides Now ,La Califfa ,Amazing Grace ( with the choir) ,and then an encore of Never Saw Blue .After that Alison and I made a dash for the exit so I hope we didn't miss anything. All in all another great night with Hayley and of course the good company of fellow HWI people. Last night's concert at Ebbw Vale with the Beaufort Male Choir was just wonderful and thoroughly enjoyed by the capacity audience of 1000. I have never known Hayley made more welcome at a concert than last night. The Welsh are a friendly lot. As mentioned, Grant will be providing the full report but meanwhile I have scanned the concert programme for you. Hayley sang 12 songs in total including one encore and then also joined in the communal singing of the Welsh National anthem at the end (which she appeared to be word perfect!). 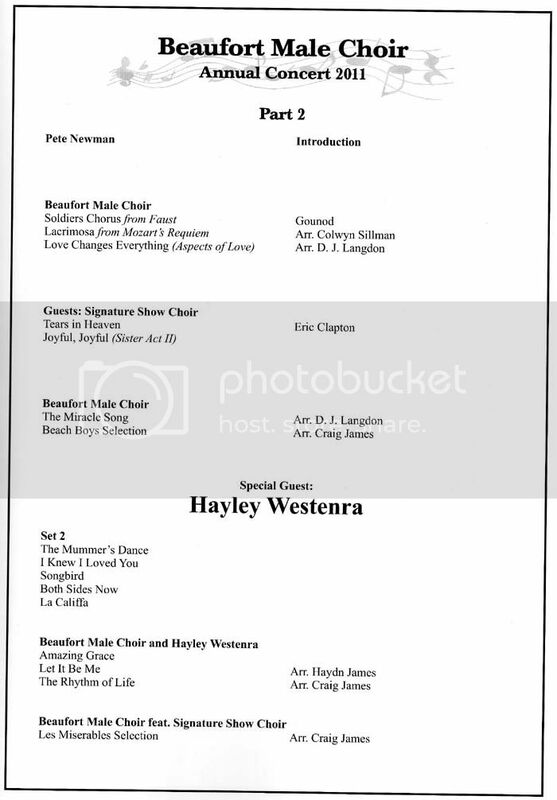 There was one change to Hayley's song list, namely that "I Dreamed a Dream" was replaced by "Prayer" because this song from the musical "Les Miserables" was included in the choir's medley at the end of the concert. NOTE: I have just deleted my songlist scans as Grant's are better quality. Been home from Ebbw Vale for about an hour - what a night we had last night three plus hours of fabulous voices. Thanks for your initial report Mike, mine will follow but it may be Monday before I get it finished - there's a lot to go into it! Only difference being that Hayley opened with Prayer and sang Pokarekare Ana at the end of her first set in place of I Dreamed A Dream. More later and some pics. Throwing back the curtains to a bright and sunny morning, I later found myself running for my early morning bus through a cloudburst on a day which seemed destined to be a mixture of sun and rain. Otherwise my journey was fairly uneventful as far as Cardiff – the only station I know of that has a platform 0 - which is where my connecting service to Ebbw Vale departs from. Following a spirited run back down the main line the train turned north and growled up the steeply graded and largely single track branch line which twisted and turned up the valley to it’s terminus at Ebbw Vale. Well, the station is actually at Waun Lwyd about 2 miles south of the town but this is where the Premier Inn that I’m booked into is located. 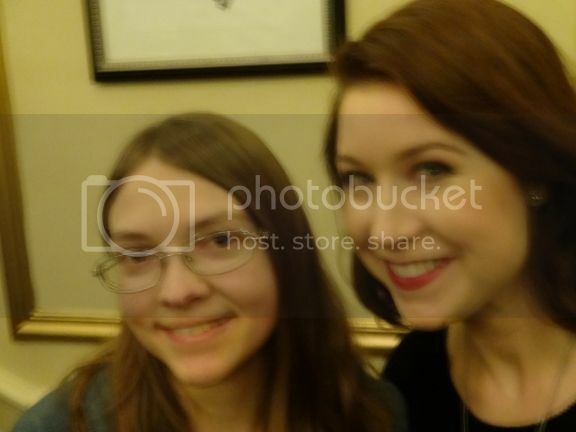 Luckily, I managed to get to the hotel before the heavens opened again and checked in, wondering how I managed to somehow agree to get Hayley’s autograph for Tracy the receptionist as I headed up to my room to await Martin’s arrival. Once he is checked in we went looking for the leisure centre – the venue for tonight’s concert, only to discover that the tour bus is already parked by the stage door and that we have obviously missed Hayley’s arrival! There is plenty of activity inside, however, with the sports facilities and the pool in use. Several of the choir members are in evidence and we asked about the sound check although no one seems to know anything, we are allowed to have a look in the huge and impressive sports hall. Arnaud is at the sound desk but doesn’t see us and there is no sign of Hayley. As I need some cash we took a short walk into the very quiet town to look for a cash point, on the way passing John, Mike and wife Allison. The sky is looking threatening again so we started back to the leisure centre, only to be caught in a “Hayley storm” which fortunately, only lasted a few minutes. Back at the leisure centre, there is a familiar face in evidence who I recognised as Ash, Hayley’s tour manager seen previously in Kings Lynn. I asked if it would be possible to see Hayley for a few minutes but it seems she is warming up for her sound check so not possible at the moment but, Ash advises, it should be OK later around five to five-thirty once sound checking is complete. Thanks for the first part of the review and the scans of the programme!..Can't wait to hear more and see the photos! Thanks for the review. Enjoyed reading it as always. Looking forward to the rest and the photos. Thanks Mike for the set list, and thanks to Martin and Grant for your programme scans. Wow! 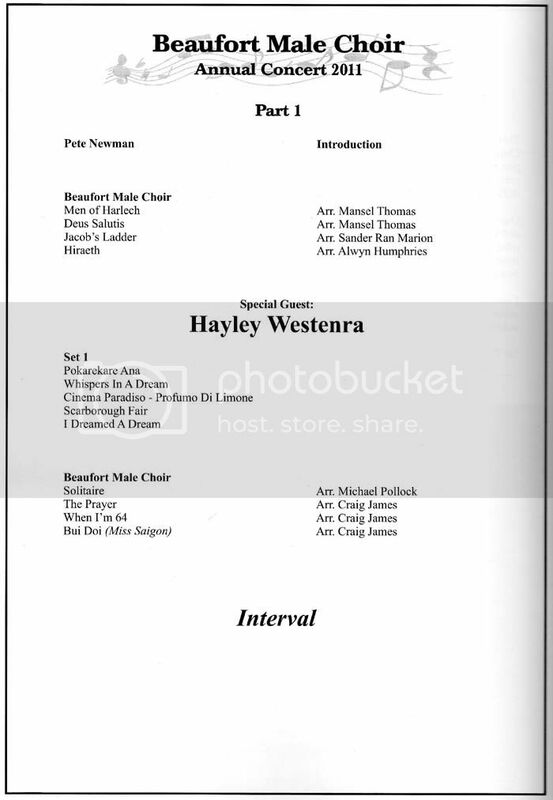 That is a wonderful set list from both Hayley and the Beaufort Male Voice Choir. The Signature Show Choir I understand are comprised of young people. Thanks to Mike, Martin and Grant for your reports and scans!! Looking forward to your next installment Grant. It's so much fun to read these. It really makes it come to life, which is great for those of us who live on the other side of the pond where Hayley doesn't tread very often. And I totally agree with Joe, that set-list looks incredible. An encore of 'Never Saw Blue'? Sigh. That was THE first song I ever heard her sing, the one that forever hooked me, and will always hold a special place with me. If I ever was present to hear her sing it live, you might just have to pull me off the floor. Haha. I also noticed the BMVC performed 'Lacrimosa' from Mozart's Requiem. I absolutely love that piece. Sounds like it was a great night all around. Hey, me too! I had Pure, but it was Odyssey songs that turned me into a true Hayley fan! Especially Never Saw Blue! Delighted to hear from you Grant. Sounds like a most interesting train journey and I am sorry i missed it. you must have done some painstaking research to work all that out ahead of time. Ah well It is time for me to start preparing for Llandudno! This is an early start for us as we are used to 7.30 or 8.00 but tonight’s concert commences at 7.00 with doors scheduled to open at 6.30 although they are open quite a bit before and we are allowed to take our seats soon after 6.15. The hall is roughly square with steeply tiered seats facing what appears to be a fairly small stage area but with all of the 1000 plus seats having an excellent view. Martin and I are on Row G of Block E. As the fingers of the clock move towards 7pm, so the hall gradually fills until very few empty seats remain. A minute or so after the allotted time, the members of the Beaufort Male Choir file quietly into the hall to take up their places on the three rows of chairs set on stage; followed by the Master of Ceremonies. The concert began on a sombre note with the MC calling for a minutes silence in memory of the four miners who lost their lives recently at Gleision colliery after which he regaled us for fifteen minutes with dreadful singing and awful jokes. Perhaps one could have forgiven him for turning up in jacket and jeans for the choir’s premier show of the year but, I can honestly say, he was the worst MC I have ever had the misfortune to see. Although Martin and I kept our feelings to ourselves initially, it soon became evident that most of the audience were embarrassed by his antics. So it was actually around 7.20 when the choir stood for their first set. My first choir concert was in Dudley back in 2009 but this is the first Welsh choir for me. Now, I always admit that, first and foremost, I’m there to see Hayley. If I get anything else out of the evening it’s a bonus so I perhaps didn’t pay as much attention as I should have to begin with in anticipation of seeing Hayley but, more about the choir later. 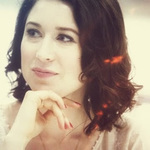 As always, she looks fabulous and sounds in absolute top form despite her very hectic schedule over the last few days. The acoustics of the hall brought an even greater depth to Hayley’s own Whispers In A Dream and to Profumo Di Limone which we are hearing live for the first time. Hayley said how happy she was to have been invited to sing here and that she hadn’t realised how similar the Welsh valleys were to her native New Zealand. She also spoke a little bit about Paradiso; about working with “The Maestro” and explained the meaning of the Italian words she had just sung. Scarborough Fair followed and then Pokarekare Ana, the opening line of which received loud applause; an indication that most people there are familiar with Hayley and which concluded her first set. The songs of the choir’s second set are more familiar to me and, having seen Hayley, I’m able to concentrate more. An arrangement of the Carpenters Solitaire – a song I haven’t heard for ages, and one I used to like a lot – came first and was followed by The Prayer. The Beatles When I’m 64 got a chuckle from the choir’s musical director Craig James alluding to the fact that many of the choir are – well, more senior than that! There is a great rapport between them however as there are several references to age during the concert. One other I noted was a particular song being arranged by ‘Polly Grip’! The final song of the first half was a real highlight for me - Bui Doi from Miss Saigon – one that always gets to me. 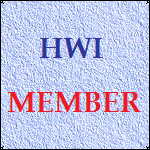 It was during the interval that we got talking with our neighbours, Barbara, Hannah and Kate about Hayley and about HWI – thank you for company ladies and for the sweets – much appreciated! The poor MC’s ears must have burnt right off!! With the Beaufort Male Choir back on stage the second half of the concert can begin. Funny, isn’t it how you can look at a programme and not recognise something but the moment the music starts – Ah! I recognise this. Well that was me on Saturday night with Soldier’s Chorus and Lacrimosa. Of course, I am very familiar with Love Changes Everything having seen Aspects of Love in the West End many times. Next came a real treat, a group of teenage girls called Signature Show Choir. They only did a couple of numbers on their own but I really enjoyed their performance and their own unique style of choreography. They received very enthusiastic and very well deserved applause too. Although we had initially been told that the concert would finish around 9pm, it is now almost 10 as the choir remained standing for their final set. The MC has appeared very subdued during the second half of the concert, slinking off into a corner when not required, suggesting that someone had a quiet word with him in the interval! He even managed to get a cue wrong calling the Signature Choir back on stage one song too soon – idiot! Everything worked out though as the girls knew when they were expected back on stage and arrived there at the correct time. This final selection with the two choirs was another highlight being a Les Miserables selection – the girls impressively holding their own with some very powerful music at the appropriate time. And so the concert drew to a close – three plus hours of beautiful music and fabulous voices. The Beaufort Male Choir is a credit to Ebbw Vale and the surrounding area from where it draws its members and they performed faultlessly. The girls of the Signature Show Choir also performed beautifully and should be very proud of the way the 1000 strong audience received them – and Hayley – what can one say about Hayley that hasn’t been said before – looking as beautiful as ever and sounding sweeter at each new concert – a couple of new songs from Paradiso heard live for the first time made this one extra special for me and they alone would have justified the trip to Ebbw Vale.